The same great ASICS DynaFlyte 3 but with a super hippie twist. For all you environmentally-conscious runners/fitness gurus out there, you can’t get much more planet-loving than this shoe. Everything in this shoe sing’s natures song: water-adhesive glue, responsive FLYTEFOAM LYTE in the midsole that uses waste products from sugarcane and organic fibers from wood pulp, and an incredibly adaptable mesh upper that is made up from 50% PET Recycled Yard for a sustainable design. 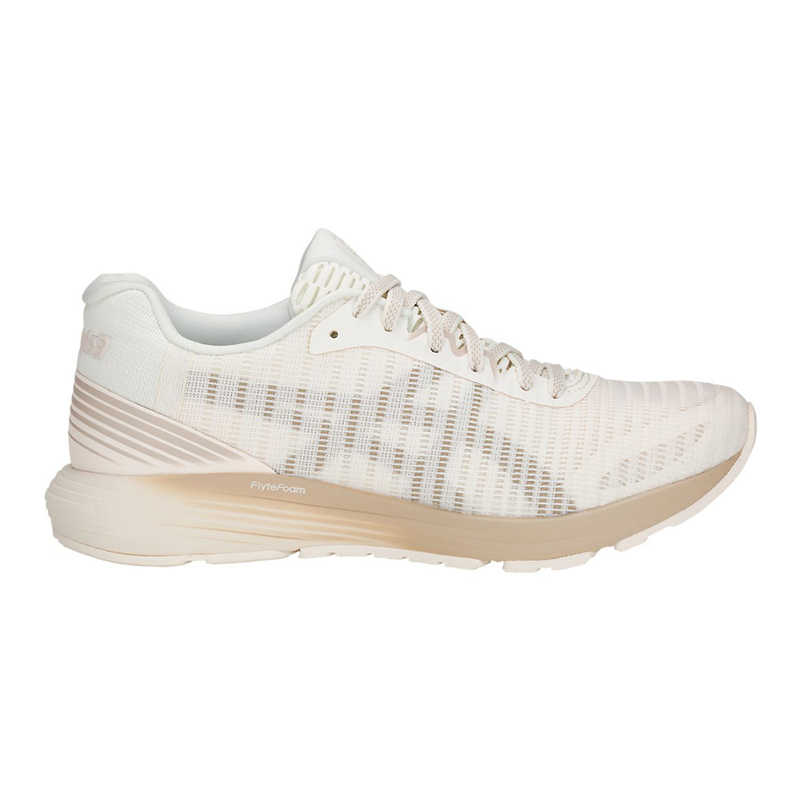 If you want a comfortable lightweight ride for running or the gym, this planet-friendly shoe is stylish enough for you. Having worn the Dynaflyte since it’s release, I have to say that this one is by far my favorite for two reasons. One, the Flyte Foam feels more responsive and less stiff than before. Secondly, the upper construction is super breathable and more contouring along my foot so, the shoe itself doesn’t feel too big. As someone who dirties up their shoes easily, I will say that this was remarkably easy to keep clean (dish soap, a light tumble in the washer and stuff them with newspapers for 48 hours)!